Have you been thinking about painting your home or commercial building recently? If so, the first step in any painting job is to find the right painting contractor. A quality painting contractor will have the knowledge and experience to get the job done right the first time, and get it done in a timely and affordable manner that will help you avoid the hassle and headache that can sometimes come with this type of work. 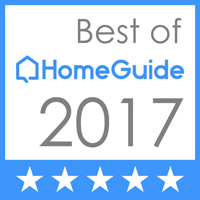 As one of the most trusted painting contractors in the Coconut Creek area, we are committed to making sure that our customers and our readers get the best possible service when it comes to their painting needs. Here are a couple of things to look for when you are trying to find the painting contractor that's right for your job. Before you can find the painting contractor that is best suited to your particular job, you need to know exactly what your job is going to entail. Are you the head of a Home Owner's Association and looking for a contractor that specializes in community painting? Or are you a business owner looking for a contractor that knows exactly what is needed to make a business stand out in the local area? Regardless of whether you are looking for a painter to help you attract more customers, or just looking to give your home a brand new look, there are going to be a number of companies standing by, willing to help. Once you have a clear picture in your mind of exactly what you're looking for in terms of your paintjob, you are officially ready to begin looking for the contractor that is best qualified for your individual work. You wouldn't go to a new mechanic or a new doctor without putting in a little bit of research, right? The same approach should be used when you are looking for a painting contractor as well. A good place to start if you don't already have a name in mind is by asking around the office or among family for the name of a good painting contractor and go from there. After that, it helps to make good use of the internet and read up on the reviews for contractors you are interested in. If a company has a string of negative reviews, it might be a good idea to look elsewhere. After you have a list of potential candidates, you are ready to move onto the next point. 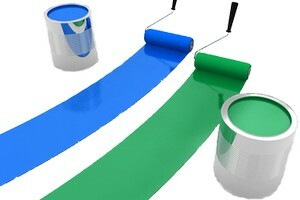 After getting your list of potential painting contractors, it is always a good idea to play the field a little bit. 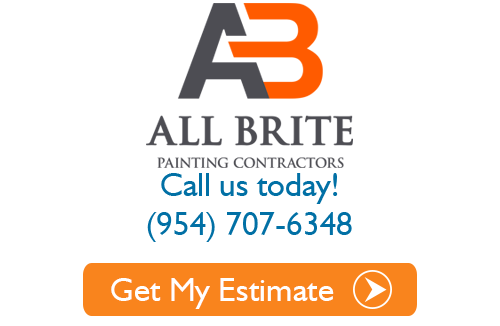 By getting several estimates, you are better able to find the best price for the service you are looking for. This also gives you bargaining power when it comes to looking for discounts and the like. Price shouldn't be everything, however. Make sure to go with the company that gives you the best mix of affordable pricing and quality service. With several estimates in hand, it will be much easier to sit down and make an unbiased and wise decision in regards to which contractor will suit your needs best. After you make a choice on which Coconut Creek painting company to go with, make sure you pay close attention when the contract is drawn up. Too many people fall into the trap of not reading a contract in-depth and signing up for something they didn't want. By thoroughly pouring over the contract and making sure that all the right areas for painting are clearly indicated, you can also make sure you aren't getting any inflated rates or unwanted or unnecessary services. If you are looking for a professional, high quality painting contractor in Coconut Creek, give us a call today at 954-707-6348 or fill out our online request form.